Specifications are being developed and employed during this project so that the collection methodology, processing, and reporting for ADEON soundscape data will also demonstrate a standardization for compatibility with other underwater monitoring programs. A lack of globally applied standards for underwater acoustic measurements (soundscapes) means that different researchers make different choices for frequency ranges and time averaging windows, often referring to the resulting plethora of different quantities with identical names, making it difficult, and sometimes impossible, to compare like with like. During this project, the ADEON team will take measurements of sound pressure at various bottom platform and towed array locations, and create modeled sound maps covering the project's region, all of which contribute to a soundscape. It is important to have a common understanding of the contents of a soundscape and this project will help facilitate that understanding by specifying the quantity or quantities contained in a soundscape, including the size of spatial or temporal averaging windows, and the precise frequency bands. Ensure compatibility within ADEON between soundscapes based on measurements and those based on models. Ensure compatibility between measurement data from different researchers or institutes within ADEON. Facilitate compatibility between ADEON soundscapes, whether based on measured or modeled prediction, and soundscapes produced by a hypothetical future or parallel project within the US EEZ. Facilitate compatibility between metrics used to quantify ADEON soundscapes and those used to monitor ambient sound in the context of the EU’s Marine Strategy Framework Directive (MSFD). The ADEON Soundscape Standardization (click here). A lack of globally applied standards for underwater acoustic measurements (soundscapes) means that different researchers make different choices for frequency ranges and time averaging windows, often referring to the resulting plethora of different quantities with identical names, making it difficult, and sometimes impossible, to compare like with like. The ADEON Project Dictionary (click here). The purpose of this report is to provide terminology for the ADEON project. The project’s focus on soundscapes means that the main focus of this report is on acoustical terminology relevant to soundscapes. The ADEON Calibration and Deployment Good Practice Guide (click here). 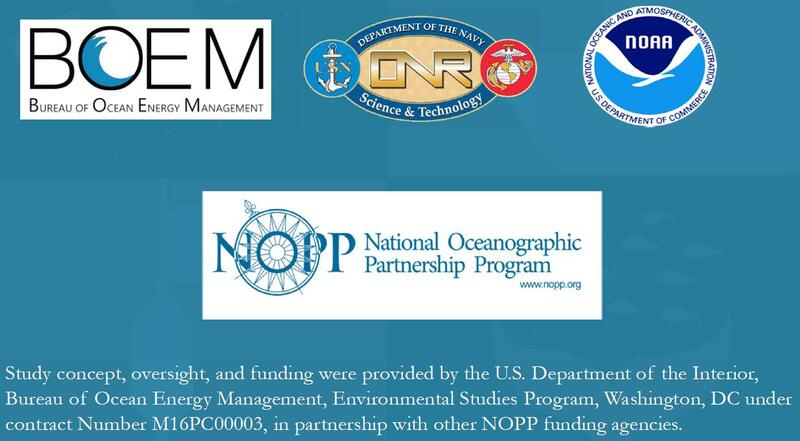 The objective of this document is to provide information to future field scientists who wish to deploy instruments similar to those used in the ADEON project. The scope of these descriptions are limited to the specific instruments used in the ADEON project, however much of the information will be useful regardless of the system manufacturer. The ADEON Hardware Specification (click here). This document describes the ADEON hardware and how it’s performance is measured. The Calibration, Deployment and Good Practice Guide contains details of how the equipment was configured for ADEON data collection. The ADEON Data Processing Specification (click here). The ADEON Data Processing Specification (DPS) has two objectives – 1) to define the discrete steps taken during data analysis that take the raw data and map it into a form which is then distributed amongst the ADEON team for soundscape and ecosystem analysis and synthesis, archived by the University of New Hampshire, and made available to the public, and 2) to document detailed processing for soundscape metrics of the ADEON Soundscape Specification.